Nicole Howell Neubert is a “go-to” business lawyer for the cannabis industry in California and beyond. Her sharp intellect, thorough analysis, and fierce client-commitment are complimented by her uniquely well-rounded set of skills, industry expertise and wide-ranging, relevant legal experience. A trusted counselor and relentless advocate, Nicole serves as outside general counsel to the cannabis field, providing advice on matters of corporate and business counseling, entity formation and operation, business litigation, and regulatory permitting and compliance. Her clients include both the pioneers and new leaders of the burgeoning medical marijuana and cannabis industry, including medical marijuana collectives and cooperatives across California, storefront dispensaries, delivery services, technology companies, Indian-owned cannabis businesses, investors, and qualified patients creating amazing cannabis products and services. Nicole brings to her cannabis practice a decade of experience as a criminal and civil litigator during which she developed her business transactional practice. She has represented individuals, fiduciaries, and businesses both in the boardroom – regarding business and corporate legal issues – and in state and federal courts – in a full range of complex business litigation, parallel civil, criminal and regulatory actions, high-stakes tort, trade secret, and employment litigation, as well as trust and estate disputes. Her litigation clients value her ability to quickly understand the technical aspects and human dynamics of each set of facts, and the tenacity she applies to achieving the client’s goal in every matter. 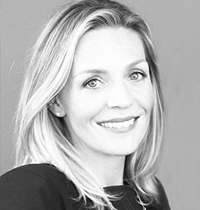 Prior to founding Clark Neubert LLP, Nicole was an senior attorney with San Francisco’s premier boutique civil and criminal defense firm Clarence Dyer & Cohen LLP where she practiced for eight years, after starting her career at the preeminent firm of Farella Braun + Martel LLP. Since 2012, Nicole has been named each year a “Rising Star” by Super Lawyers Magazine and recognized for several years running as an “Attorney to Watch” by Chambers and Partners USA. Nicole serves on the Board of California NORML and the policy committee for California Growers Association, teaches legal courses at Oaksterdam University in Oakland, and is an active member of several other industry-related organizations. Nicole is a licensed in California and Oregon, received her J.D. from the University of California, Hastings College of the Law, completed coursework in the L.L.M., Taxation program at Golden Gate University, and attended undergraduate at Fairfield University.